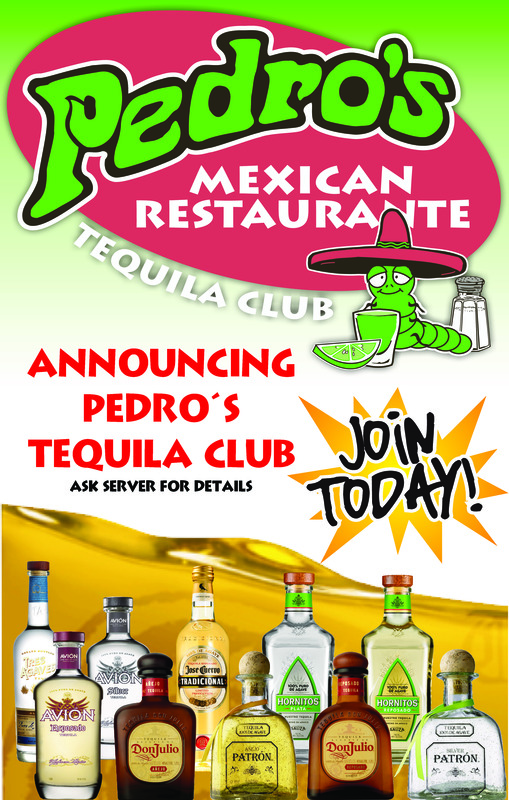 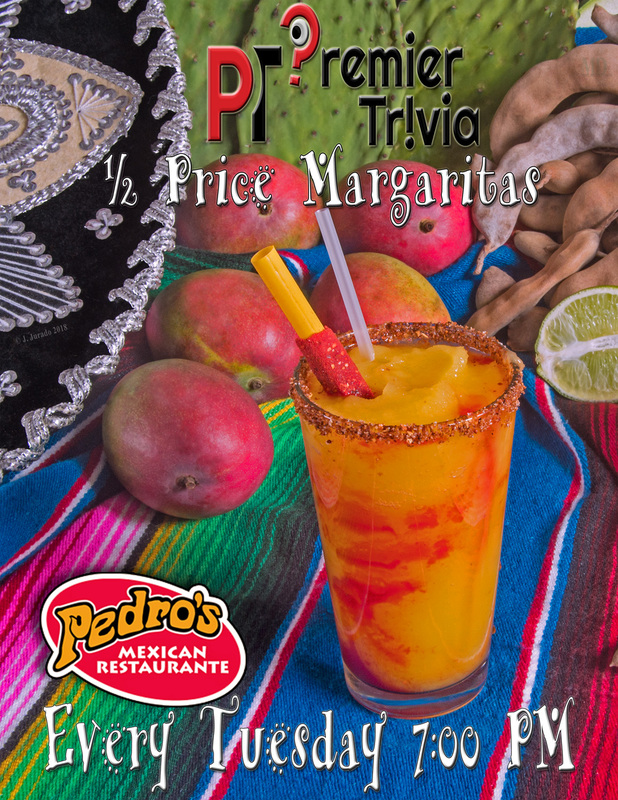 Here you’ll find all of the current and upcoming specials and entertainment options at Pedro’s Mexican Restaurante! 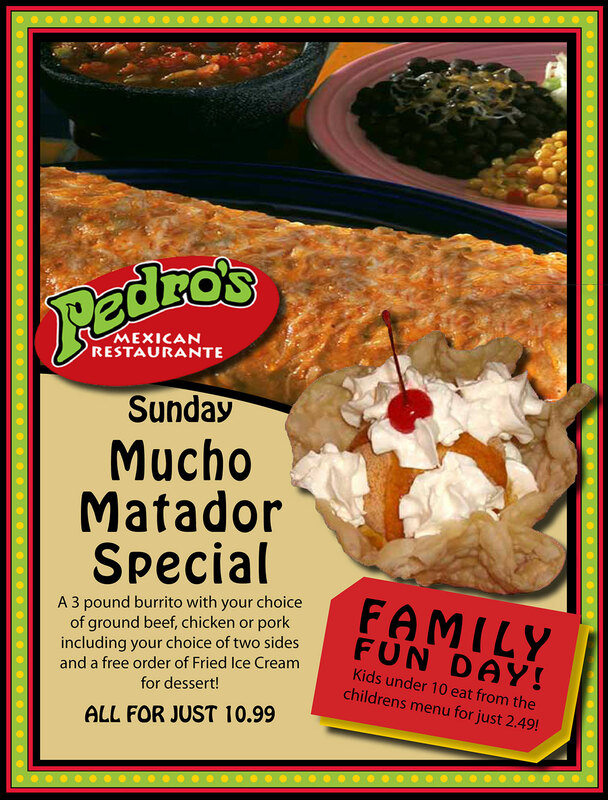 A three-pound burrito with your choice of ground beef, chicken or pork including your choice of two sides and a free order of Fried Ice Cream for dessert. 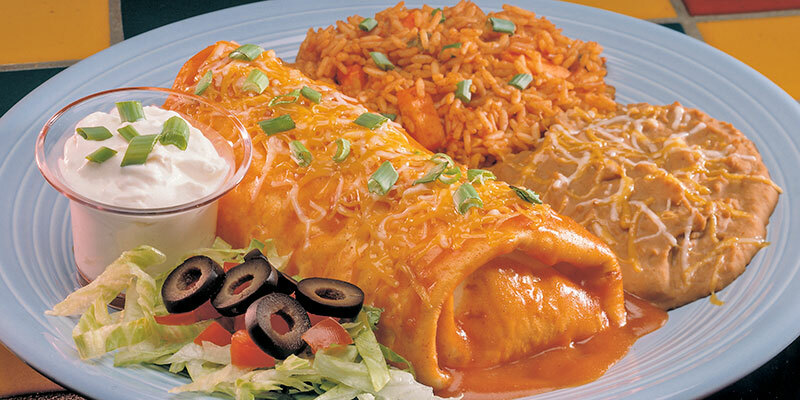 All for just $10.99. 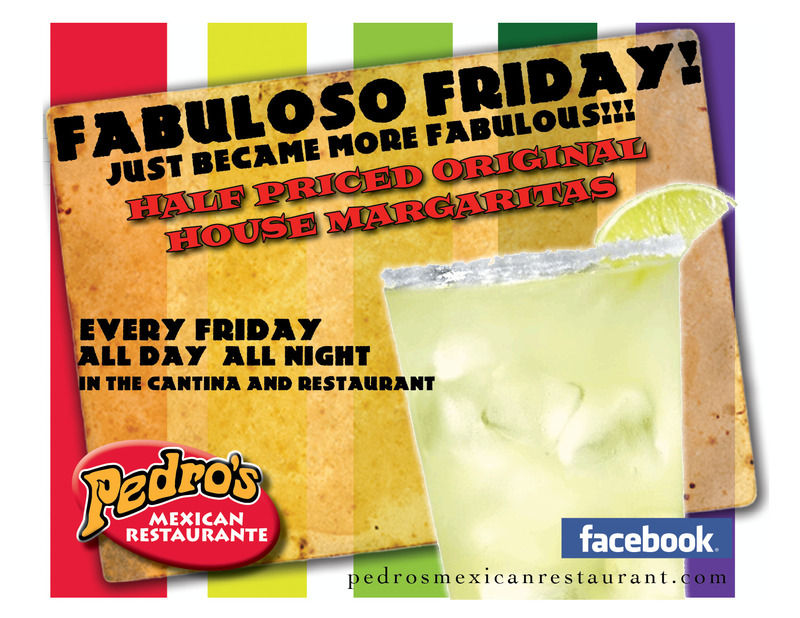 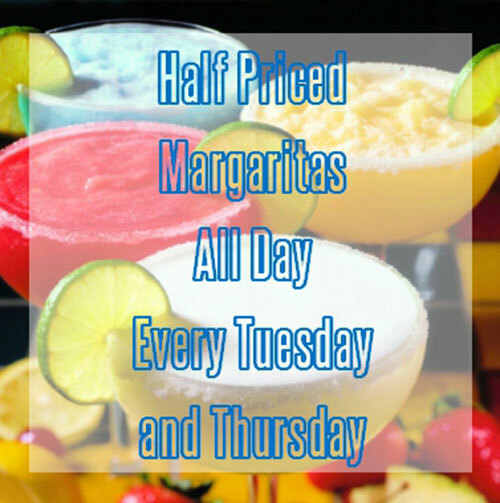 HALF PRICE MARGARITAS every Tuesday & Thursday – all day and night!